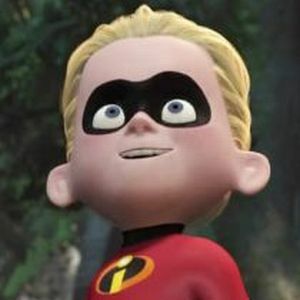 Quotes from The Incredibles with Dash, Elastigirl, Kari McKeen, Violet, and snapshot pictures. VIOLET: Ow! 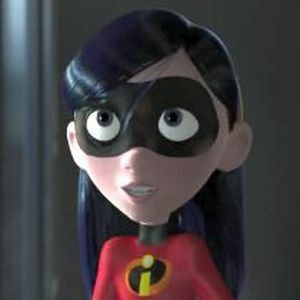 ELASTIGIRL: Violet! VIOLET: It's not my fault. Dash ran away, I knew I'd get blamed for it. DASH: That's not true! You said, something's up with Mom. We have to find out what and it's not my fault! Hundred percent all yours idea! 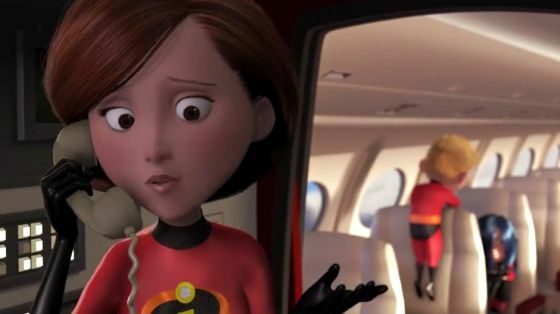 ELASTIGIRL: Wait a minute. 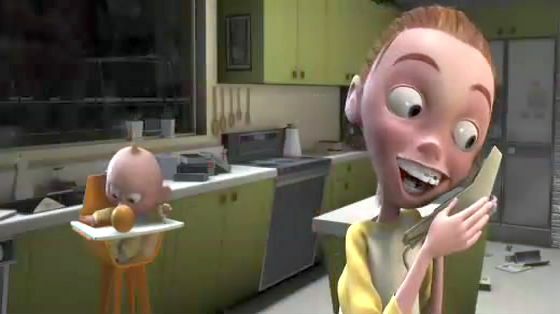 You left Jack-Jack alone? VIOLET: Of course we got a sitter. DASH: We got someone, Mom. We wouldn't do that. VIOLET: Thanks a lot! 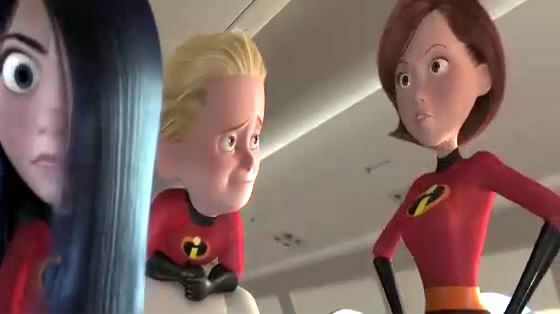 ELASTIGIRL: All right, well, who'd you get? KARI MCKEEN: You don't have to worry about one thing. I've got baby-sitting wired. I've taken courses, learned CPR, excellent marks and certificates. 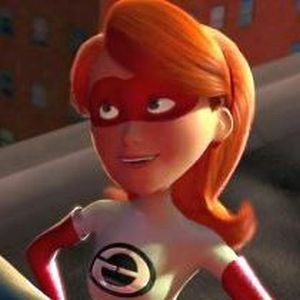 ELASTIGIRL: Kari. KARI MCKEEN: I brought Mozart to play while he sleeps because leading experts say Mozart makes babies smarter. 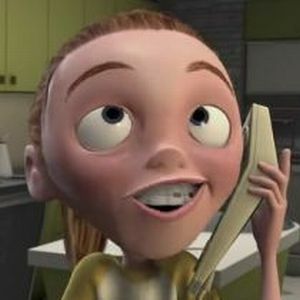 ELASTIGIRL: Kari... KARI MCKEEN: The beauty is they don't have to listen 'cause they're asleep! I wish my parents played Mozart because half the time I don't know what anyone's talking about. 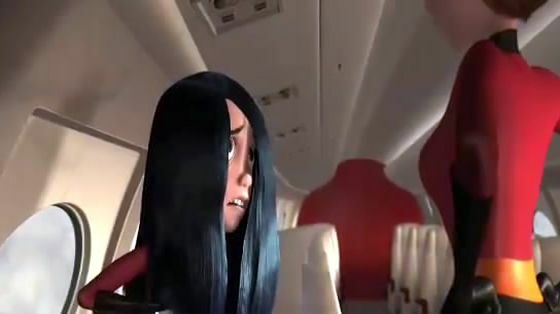 ELASTIGIRL: Kari, I really don't feel comfortable with this. I'll pay you for your trouble, but I'd rather call a service. 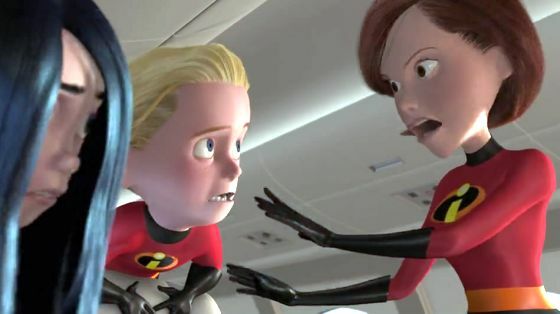 KARI MCKEEN: There's really no need, Mrs. Parr. I can totally handle anything this baby can dish out. Can't I, little baby? I can handle it. Who can handle it?